Whatever you may think about Android Wear, the Moto 360 (our review) was probably the first smartwatch to truly capture people’s attention for its design. That said, it was limited to only two color and material choices at launch, and Motorola now wants to give you more options. Announced in a blog post earlier, you can finally get the Moto 360 with the metal band users lusted over in the pre-release renders. The company is also introducing slim bands for people who want a more minimal aesthetic. The metal bands are available in light, dark and champagne colors, and these configurations will cost you $299 ($329 for the champagne) instead of the standard $250. Additionally, you can now buy both the leather and metal bands separately, and Motorola is partnering with brands DODOcase and TYLT to bring stitched leather and silicone bands, respectively. On the software side of things, Motorola is bringing in some new watchfaces, watchfaces, including the ability to create on your own. The new My Design tool will let you set a background image of your preference, while letting you choose different tick marks and watch hands. 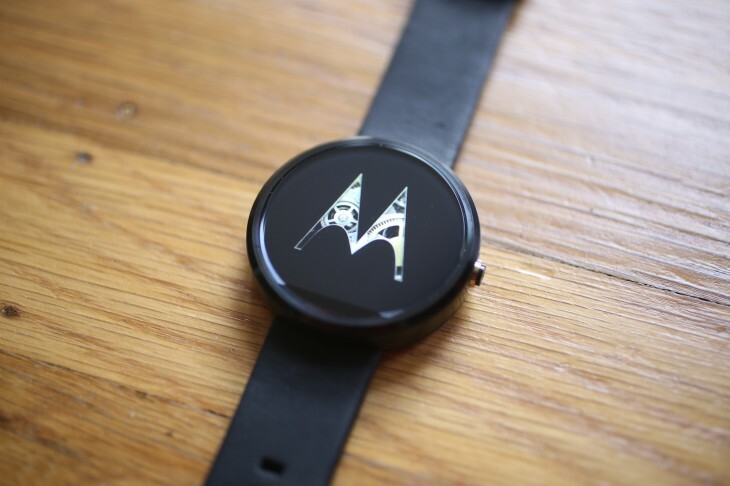 Finally, the Moto 360 is also getting a new fitness app: Moto Body. Instead of only measuring your steps and heart rate, you can now see your distance traveled and calories burned. You can set goals to keep you motivated too, and one can only assume it will be integrated onto the Google Fit platform. You’ll be able to get all these new features in the next few days via an update to the Motorola Connect software.